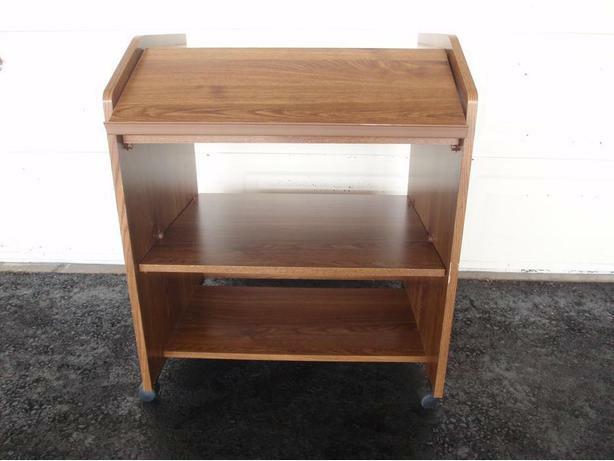 Compact & sturdy wood grain Arborite Desk. 4 shelf levels [ 2 roll out] for monitor, tower, printer with comfortable flip keyboard table. Mounted on strong easy roll carpet casters. H 33.5"x D 26"x W 28"